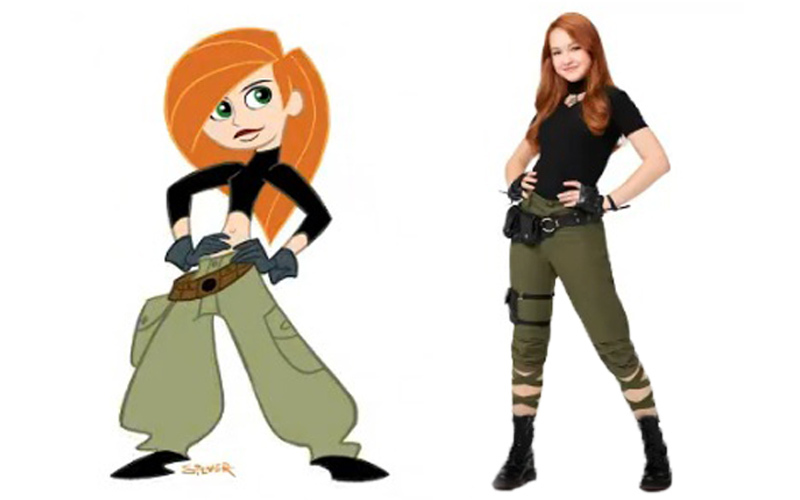 The first look of American animated movie “Kim possible” has been unveiled. Disney released the live action movie 'Kim possible' at Comic-Com. The girl who will be playing Kim is a dead ringer for the cartoon character. The company also game a glimpse of a little clip, which compared the cartoon character to the titular cartoon and the resemblance is unbelievable. For the people who’s memories are fuzzy, Kim Possible was telecasted from 2002-2007. She was a regular high school cheerleader, who fought crimes and supervillians with the help of her pet Rufu and her best friend Ron Stoppable. Sean Giambrone will play Ron is the live action version. Sadie Stanley will be playing the lead role. As soon as the movie was announced, Stanley wrote on her Instagram that she’s honoured to be playing such an “iconic” role. The new movie will be out on the Disney Channel in 2019.